Hummus is one of my favourite foods to eat. You can buy in any grocery store these days with different flavours but why would you when hummus is the most simplest of all foods to make. 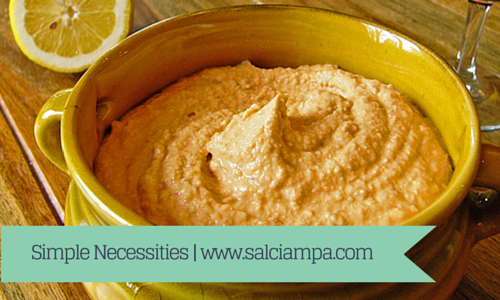 Not only is hummus simple, but GREAT FOR YOU! For those that don't know, hummus is made from chickpeas and for those that are what I call "protein chasers" (like myself), chickpeas are very high in protein. One cup (200 grams) of chickpeas is about equal to 39 grams of protein! Throw it all in a food processor and mix until its at consistency you like. Feel free to adjust the amounts of any of the ingredients to your liking. I like to add a touch extra extra virgin olive oil. I like the flavour of lemons, try running a lemon through a juicer, you'll get a nice lemon taste from the rind.